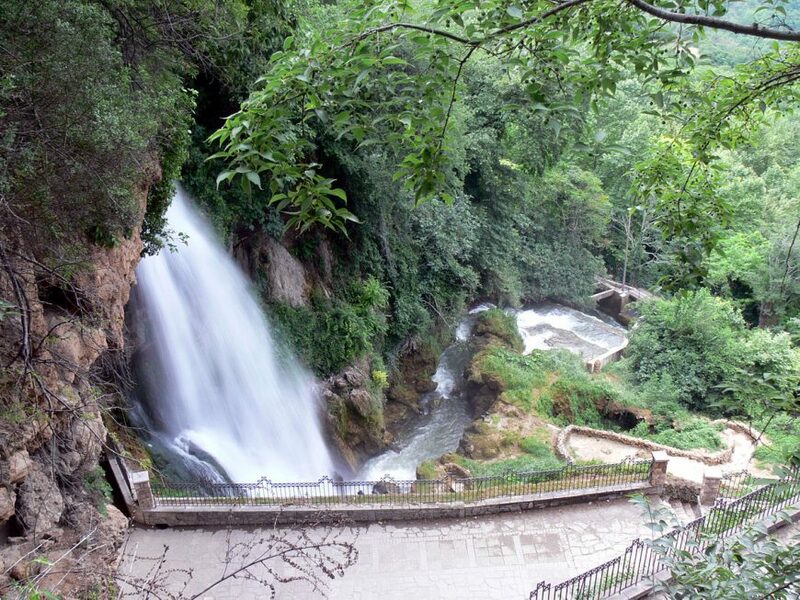 Edessa (until 1923: Vodena known as “city of waters”), is a city in northern Greece and the capital of the Pella regional unit, in the Central Macedonia region of Greece. It was also the capital of the defunct province of the same name. According to some ancient writers, Caranus, the legendary founder of the Argead Dynasty (whose most famous member was Alexander the Great), established the city of Edessa and made it the first capital of ancient Macedon, and later Argead rulers moved Macedon’s capital to Aegae and eventually Pella. 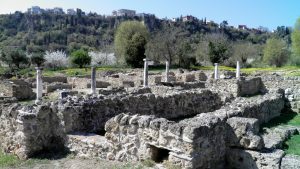 Archaeological remains have been discovered on the site of ancient Edessa, just below the modern city. The walls and many buildings have been unearthed so far. A colonnade with inscription in Greek dates from Roman times. The city achieved certain prominence in the first centuries AD, being located on the Via Egnatia. From 27 BC to 268 AD it had its own mint. The Orthodox Christian Saint Vassa and her three children were put to death here in the 3rd century AD. During the period of Ottoman rule, the Turkish and Muslim component of the town’s population steadily increased. From the 1860s onwards, the town was a flashpoint for clashes between Greeks and Bulgarians. After almost 500 years of Ottoman rule, Edessa was annexed by Greece on 18 October 1912 during the First Balkan War, following the Hellenic Army’s military victory against the Ottomans in the battle of Sarantaporo. At that time, Edessa was already well on its way to becoming a major industrial center in Macedonia. 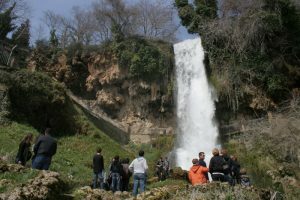 Four large textile factories were in operation by 1914, employing the abundant waterfalls as a source of energy. Prior to World War I, in addition to Greeks, the region of Edessa was also populated by Turks, Bulgarians, Pomaks and Vlachs, but during the population exchange between Greece and Turkey most of the Turks and Pomaks living in Edessa were transferred to Turkey. Large numbers of Greek refugees from Asia Minor were settled in the area in 1923. A large segment of the population specialized in silk production, allowing Edessa to enjoy a high standard of living in the interwar period (1922–1940). Transfer Thessaloniki is the best way to discover this beautiful city! We are here to transfer you from Thessaloniki Airport to Edessa. Your transfer, is our pleasure!